← Creative Thanksgiving Turkey Arts…Happy Thanksgiving! 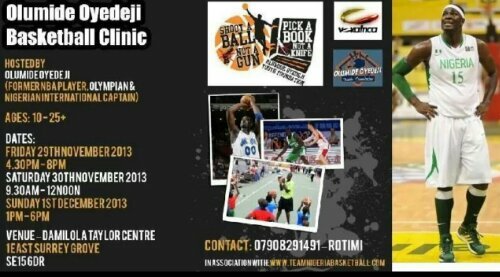 Posted on November 30, 2013, in Africa, worldwide and tagged basketball, camp, clinic, damilola taylor, nba, nigeria, olumide oyedeji, Peckham, pick a book not a knife, shoot a ball not a gun. Bookmark the permalink. Leave a comment.